and from bookstores including Amazon, Barnes & Noble and Powell's Books. 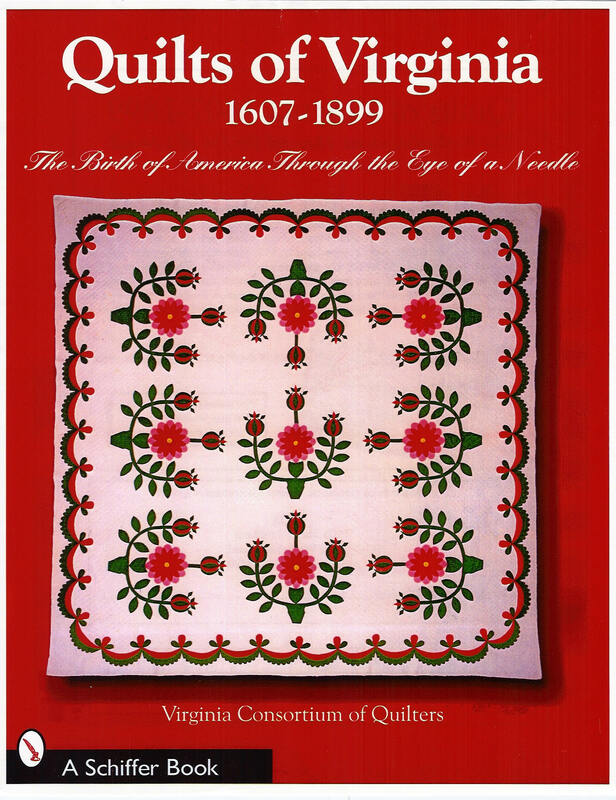 VCQ's book, QUILTS OF VIRGINIA: 1607-1899, is available! The book is the result of VCQ's quilt documentation project of the 1980's. It includes some of Virginia's finest examples of historic quilts, dating back to George Washington's great-great grandmother. The book was published in time to celebrate Virginia's 400th anniversary in 2007. Noted quiltmaker and author, Jinny Beyer, wrote the book's Foreword; and quilt historian, Hazel Carter, wrote the Introduction. Many well-known names in Virginia's quilt community wrote regional chapters, and Barbara Tricarico photographed and edited the book. In addition to over 350 color and vintage photographs and over 270 beautiful historic quilts and collectibles, the book also includes a number of Virginia quilt blocks. A quilt pattern, "Farmer's Fancy" (sometimes called "Farmer's Delight"), a drafted pattern by Paula Golden and Becky Phillips, is featured. Research has indicated that this pattern is a native Virginia design.